The Ho Chi Minh Museum is located in Hanoi, Vietnam. 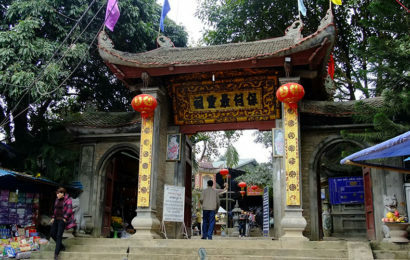 Constructed in the 1990s, it is dedicated to the late Vietnam’s leader Ho Chi Minh and Vietnam’s revolutionary struggle against foreign powers. Located at No.19 Ngoc Ha Street, Ba Dinh district, Hanoi, the Ho Chi Minh Museum is one of the largest museums in Vietnam. 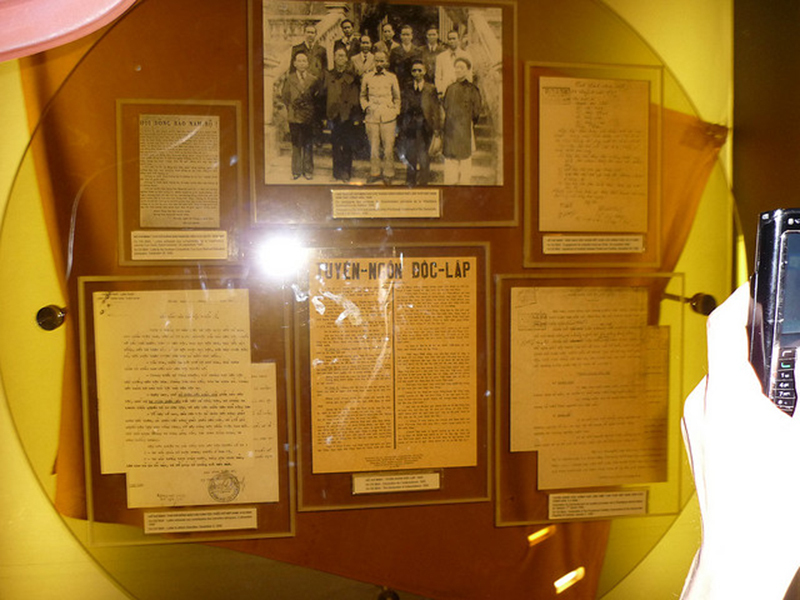 The museum displays many artifacts and documents about the life and personality of President Ho Chi Minh. Inaugurated on 2nd September, 1990, the Museum has five extensive floors. The best way to visit the museum is starting from up and then going down. 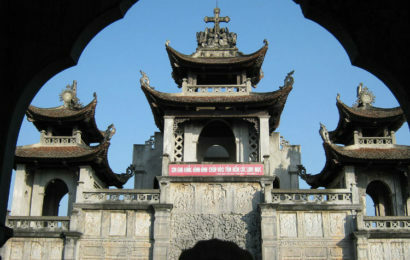 The museum has square shape with an ethereal white lotus symbol. Four square blocks on the top floor is just a lotus flower. The stylized 4 square blocks links the architecture of the structure with natural landscape. 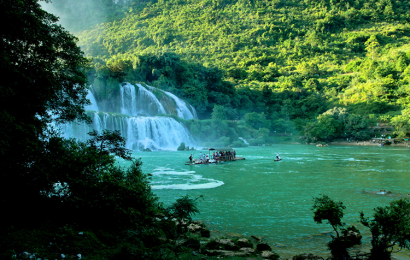 The artificial circle lake has 18 meters in diameter with bonsai natural stone of Hoa Lu area which create the vibrant scene. 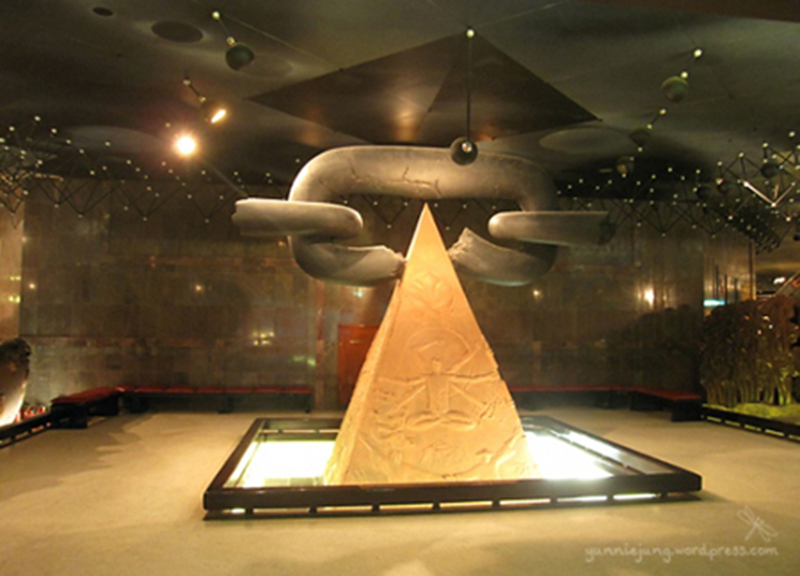 With an area of 18.000 m2, Ho Chi Minh museum become the largest and the most modern in Vietnam. Floor display includes three main space is closely related to each other. The solemn room has 9 meter height, floor is decorated with leaves. 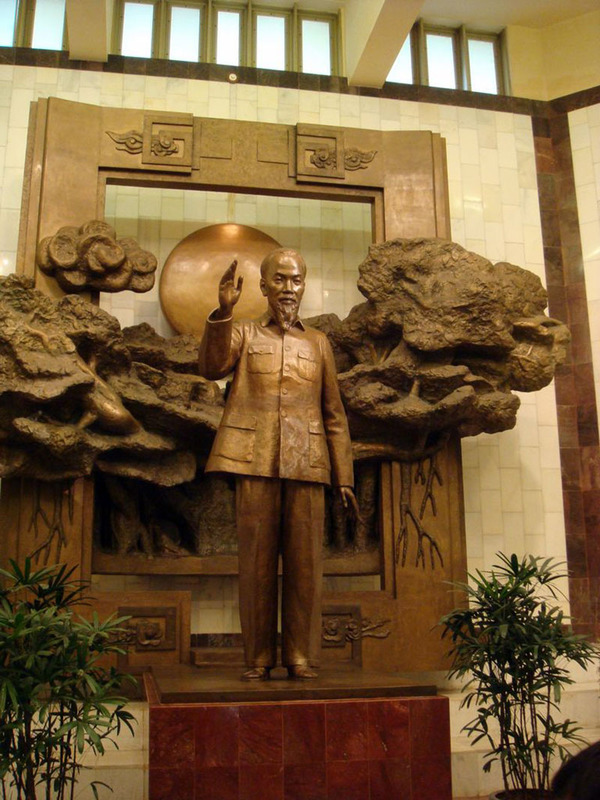 The center sets the bronze statue of Ho Chi Minh with 3.5 meters height and 3 tons weight. Display profile is the basic contents of the Museum. With 8 major topics, they reflect the life and career of President Ho Chi Minh from birth until death. All material, photographs are displayed with a systematic, dynamic in order to help views understand thoroughly and vividness on his life and his career. The outer space displays themes and sections in order to supply and deepen the display profile which associated with Vietnam’s revolution to the world revolution in the overall process of global revolution. 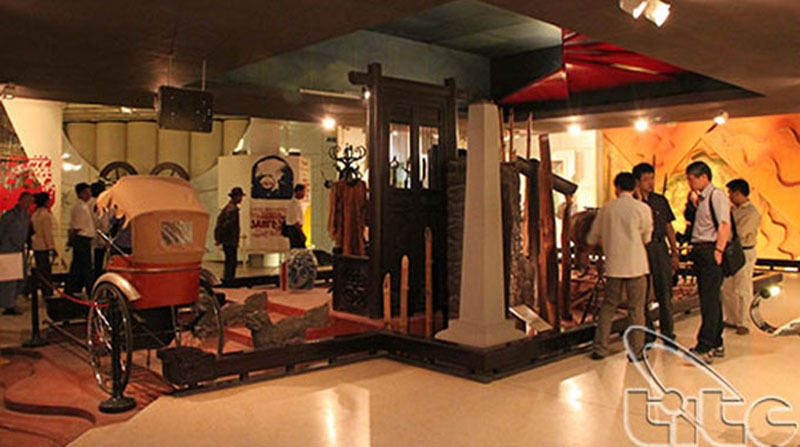 Ho Chi Minh museum was inaugurated on the occasion of 100th of his birth-a celebrity culture. Ho Chi Minh Museum stores more than 12 thousand documents, artifacts, original film about the life and revolutionary career of President Ho Chi Minh. This is an invaluable asset of the Vietnamese in the education of patriotism, moral of President Ho Chi Minh. For safety reasons, visitors can not bring bags or cameras inside the museum. From Tuesday to Thursday and also on weekends, the opening hours of the museum are from 8 A.M to 11 A.M and 1:30 to 4:00 P.M.